The Supreme Court left a July 2016 6th Circuit Court of Appeals ruling, which says that federal mugshots don’t need to be released under the FOIA, in place this week. Last July the appeals court ruled en banc against the Detroit Free Press and against the status quo, determining that federal booking photos and mugshots taken by the U.S. Marshals no longer need to be released through FOIA. 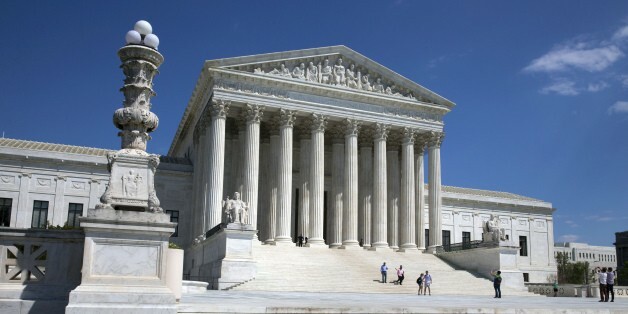 The pernicious ruling SCOTUS let stand overrules a previous 6th Circuit decision in favor of releasing mugshots under FOIA, and forces transparency advocates to spend limited staff and resources to fight off government efforts to shrink the current transparency landscape, rather than fight to expand the public’s right to know. Adam Marshall of the Reporters Committee for the Freedom of the Press has eloquently written why the secrecy surrounding federal booking photos and mugshots is troubling, noting that while there are “no privacy rights implicated by releasing photos of persons who have been arrested, indicted, and appeared in open court… there is a powerful interest in ensuring the criminal justice system remains open to the public.” Marshall’s piece, with an important history of the difficulties obtaining federal mugshots even under the FOIA prior to last year’s ruling and SCOTUS’s recent decision (including the need to file the FOIA from Kentucky, Michigan, Ohio, or Tennessee), is available here. Amnesty International recently published a Defense Department Inspector General audit it obtained via the FOIA that shows “The US Army failed to keep tabs on more than $1 billion worth of arms and other military equipment in Iraq and Kuwait.” The transfers were a part of the “Iraq Train and Equip Fund” (ITEF), which was allocated $1.6 billion in 2015 to combat ISIS, and the equipment included hundreds of Humvees and thousands of assault rifles and mortar rounds, all intended for the central Iraqi Army. The IG audit faulted “fragmentary record-keeping,” record-keeping practices that increase the likelihood of human error, and incomplete records. FOIA-released documents show how Hawaii is “massively overhauling its archaic nuclear contingency plans” and planning to counter new threats posed by North Korea. Motherboard reporter Sarah Emerson filed a FOIA request with the Hawaii Department of Defense for its nuclear evacuation plans, and was told “that no current materials exist, and that extremely outdated plans had been rescinded. 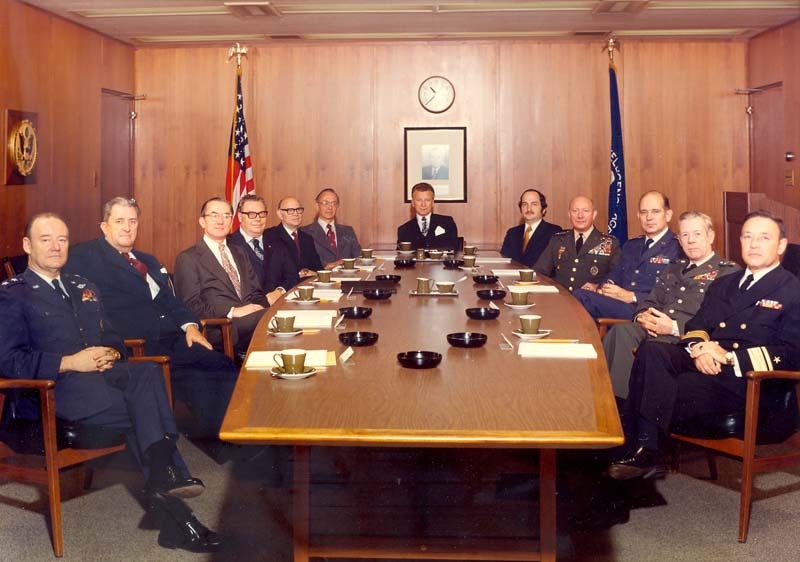 Hawaii stopped planning for an attack in the 1980s, due to the low risk of an attack, although it did simulate a half-kiloton nuclear explosion near Oahu’s Honolulu Harbor in 2006.” The agency instead provided Emerson with a PoAM – a plan of action and milestones – for a new ballistic missile defense initiative and details on how the agency is responding to North Korean threats. Numbers crunched by The FOIA Project. FOIA lawsuits have reached a 25-year high, according to the latest report from The FOIA Project. There were 63 FOIA lawsuits filed in April alone, and 60 to-date this May. 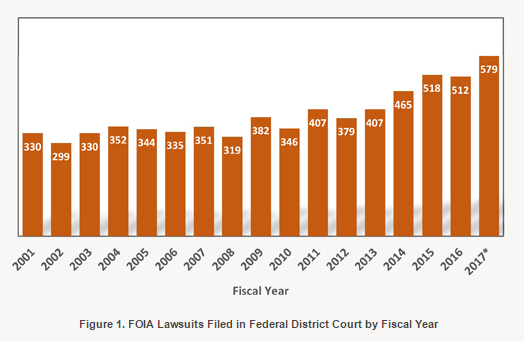 The FOIA Project crunched the numbers and found that, “If the pace of FOIA filings during the first seven-plus months of this fiscal year continues at the same rate, FY 2017 will see upwards of 579 FOIA suits filed. This would be up from 512 such suits filed during the last fiscal year of the Obama Administration.” The numbers were based on court records analyzed by the Transitional Records Access Clearinghouse (TRAC). The National Security Archive’s Chiquita Papers collection represents key evidence behind a “communication” calling on the International Criminal Court (ICC) to investigate officials from Chiquita Brands International for facilitating crimes against humanity committed by armed groups the company paid in Colombia. The petition to the ICC’s Office of the Prosecutor was brought by the International Human Rights Clinic of Harvard Law School, the International Federation for Human Rights, and the Colectivo de Abogados José Alvear Restrepo, a Colombian human rights organization, and was made public recently at a press conference in Bogotá, Colombia. The ICC action comes at an important moment, just as Colombia begins to implement a historic peace agreement ending more than 50 years of conflict with rebels from the Revolutionary Armed Forces of Colombia (FARC). The Archive’s recent posting features a selection of key excerpts from the evidence and a dozen full-text documents from the case. The National Security Archive marks what would have been Anatoly Sergeyevich Chernyaev’s 96th birthday today with the publication for the first time in English of his extraordinary diary for 1977, written from inside the Central Committee of the Communist Party of the Soviet Union, where he was then a Deputy Director of the International Department. The Archive’s dear friend and partner in opening historical records passed away this past March, but his voice is with us and remains irreplaceable for anybody who wants to understand not only the end of the Cold War in the 1980s, but also what was going on at the very top of the political hierarchy in Moscow in the darkest years before the dawn of the new thinking that would put Chernyaev at the right hand of Mikhail Gorbachev. This week’s TBT pick is a 2013 posting on a fabled but previously secret State Department intelligence memorandum that predicted, five months in advance, the 1973 Arab-Israeli war. The document was rescued from classified vaults that were so obscure that even State Department historians and CIA FOIA officers could not penetrate them. Published for the first time in 2013 by the National Security Archive the INR memo from May 1973 warned Acting Secretary of State Kenneth Rush that there was a “better than even bet” that war between Egypt and Israel would occur “by autumn.” Get the rest of the story here.